Feliway Refill is to be used in conjunction with the Feliway Diffuser Device, to comfort and reassue cats in stressful situations. 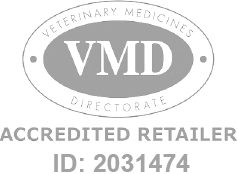 Feliway Refill is a Prescription Only Veterinary Medicine and by law requires a prescription from your vet. Feliway is a synthetic copy of a feline pheromone, used by cats to mark their territory as safe and secure. By mimicking the cats' natural pheromone, Feliway helps create a state of familiarity and security in the cats' environment. Feliway can be used to comfort and reassure cats coping with changes in the environment or stressful/challenging situations.